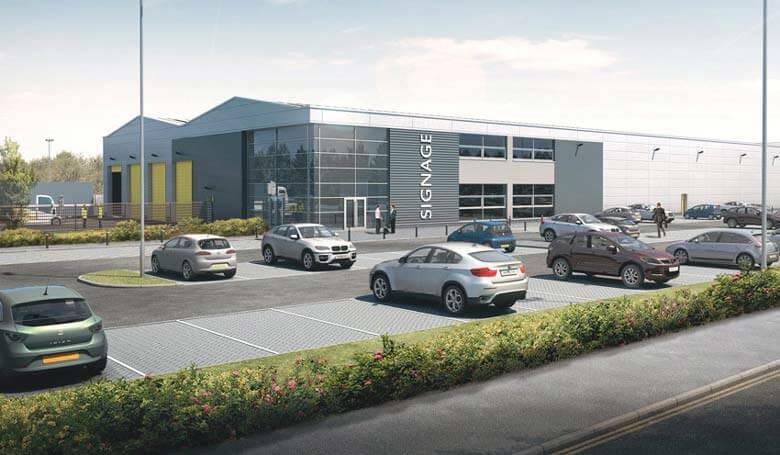 The owners of Glasgow's Westway Industrial Park, have welcomed the news that plans for the future development of the park have moved a step closer after Renfrewshire Council resolved to grant planning permission for a new masterplan. The masterplan provides the framework for the future enhancement and growth of Westway, and maximises the opportunity that Westway provides to create a gateway employment site, which meets the needs of existing and new businesses, creates new jobs and homes and reinforces Westway's strategic location, adjacent to Glasgow Airport. The permitted masterplan enables the refurbishment of existing industrial and warehousing units, as well as the creation of new build industrial / warehousing / business units; the erection of a road bridge over the White Cart Water; a hotel; multi storey car park; residential development (up to 125 homes); a restaurant facility; improvements to the internal landscaping and road layout; and formation of new car and lorry parking. It also makes provision for the re-opening of an existing dock facility, which the owners of Westway are currently progressing in discussion with Scottish Enterprise and Renfrewshire Council. The masterplan proposals were given the green light by the Council after an updated application was submitted in the summer of 2011 following a public consultation event and extensive discussion with the Council. A similar masterplan for Westway had originally been approved by the Council in 2007. Westway Park offers tremendous Design and Build opportunities to new and existing occupiers. Companies can now create their own bespoke industrial building/s on site. Design and build developments can be tailored to suit the prospective occupiers needs in terms of size and specification. Westway Your Way - making your vision a reality. Westway is proud to be apart of the £1.13bn City Deal which will bring tens of thousands of jobs to the Glasgow City Region through 20 major infrastructure projects.